Ever wonder why God told ministers to instruct elders in the community? Titus 2: 2 Teach the older men to exercise self-control, to be worthy of respect, and to live wisely. They must have sound faith and be filled with love and patience. We are taught to respect our elders, but here, we see God instructing His servants to teach elders to live worthy of respect. Dead flies cause the ointment of the apothecary to send forth a stinking savor; so doth a little folly in him that hath a reputation for wisdom and honor. 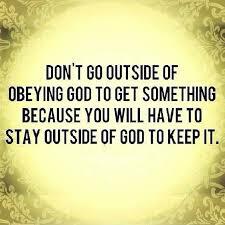 Clearly, just because someone is old, or even recognized as an elder, does not make them obedient to God.